If you are looking to clear your adult criminal record, your options include Expunctions, Orders of Non-disclosure and Judicial Clemency. There are different requirements and eligibility criteria for each method. Expunctions are the best way to clear your record, but you are usually only eligible for an expunction if you were never convicted or placed on probation. What is the difference between an Expunction and an Order of Non-Disclosure? Am I eligible for an Expunction or an Order of Non-Disclosure? How do I get an Expunction or an Order of Non-Disclosure? If you were placed on deferred adjudication and your case was ultimately dismissed, then you are may be eligible for an order of non-disclosure. Under the new nondisclosure laws, you may also be eligible for an order of nondisclosure if you only have one conviction on your record. If you were convicted, but received only probation, then you may be eligible for judicial clemency. This field is a complex area of criminal law, so please read this article first. If you want to know more about a specific record-clearing option, visit our page about Expunctions in Texas or Record Sealing with Orders of Nondisclosure or find out about Setting Aside Convictions through Judicial Clemency. Do you need to clear your criminal record? 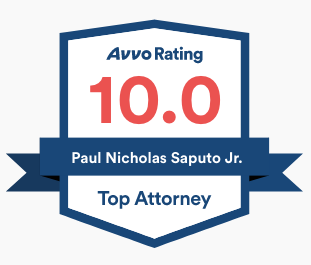 Call criminal lawyer Paul Saputo at (888) 239-9305. An order of expunction will remove all records of an arrest (and records created that arose from the arrest). However, subject to a few exceptions, you are only eligible to receive an expunction if you were never convicted and never sentenced to deferred adjudication for the offense for which you were arrested. An order of expunction is an order from a court directing certain specific people to destroy all of the records relating to your arrest. In order to obtain an expunction, you or your lawyer must file a Petition for Expunction with a district court. One important reason to hire a lawyer experienced in expunctions is that an expunctions attorney can help create the most expansive list of people who might have records of your arrest. Every arrest is different, and every person’s situation is different. It is important to hire an attorney who can analyze your situation and determine who all of the entities that will be necessary to include in your petition for expunction. An order of non-disclosure is similar to an order to expunge a record in that it is an order by a court to certain parties requiring them to remove records of your arrest. However, an order of non-disclosure is not as “strong” as an expunction because you cannot order certain agencies to delete records with an order of non-disclosure. So why would you get an order of non-disclosure instead of an expunction? The only reason you would do this is in the circumstance that you are ineligible for an expunction. There are several differences between an Expunction and an Order of Non-disclosure. For starters, you are only eligible for an expunction if you were acquitted or had your charges were dismissed pursuant to a “straight dismissal,” not if the charge was dismissed pursuant to a successfully-completed deferred adjudication probation (unless the charge was a Class C misdemeanor). Technically, you could still receive an expunction after a conviction if the conviction was later pardoned, but that is exceedingly rare. On the other hand, you would be eligible for an order of non-disclosure if the charges were dismissed pursuant to a successfully-completed term of deferred adjudication probation. The best way to get an Expunction or an Order of Non-Disclosure is to hire a criminal defense attorney who will file the necessary documents with the court. You only have one shot to do it right, so why take a chance with your permanent criminal record? Careful drafting, research and consideration can result in better outcomes with these orders. If you fail to include information in your motion for expunction, then you will lose the opportunity to have a court order requiring the record’s removal. We take the time with our clients to determine the best strategies. Please call us at (888) 239-9305 for more information about your expunction and how we can help you. Some clients require a more thorough and exhaustive review, and frequently we are asked to use more advanced technological and legal tools to find out where your information has already been distributed. Courts (especially municipal courts) sell this information to numerous third parties. And then those companies resell it. 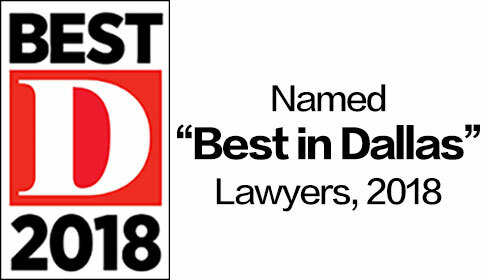 Our criminal defense lawyers keep up with the latest in the information marketplace and the legal and technological innovations that we can bring to bear to help you keep your arrest record private.